Handmade and stitched in Anaheim, California. Double Sleek stitches down the center. Gold finish metal buckle. 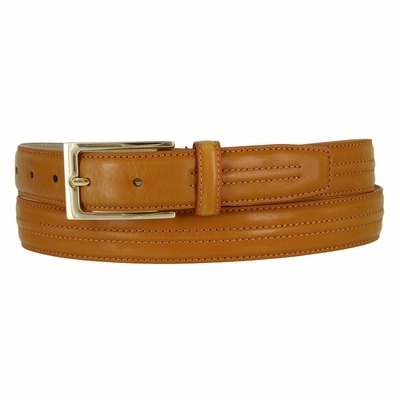 Measure around where you wear the belt, with your pants on, and order the closest size.